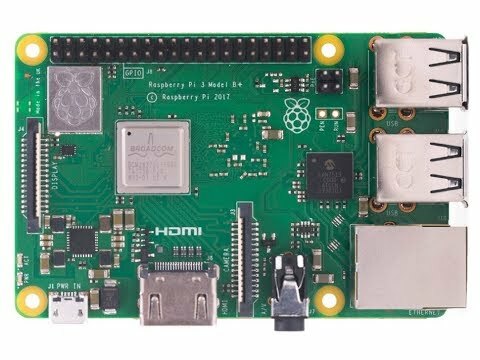 The Raspberry Pi 3 Model B+ is the most popular Raspberry Pi computer made, and the Pi Foundation knows you can always make a good thing better! And what could make the Pi 3 better? How about a faster processor, 5 GHz WiFi, and updated Ethernet chip with PoE capability? Good guess - that's exactly what they did! Coming soon! Sign up and we'll alert you the moment we have these in stock. You can still use all your favorite Raspbian or PIXEL software with this update - just make sure to upgrade your Raspbian operating system install so that the firmware can support the new chips. The dual-band wireless LAN comes with modular compliance certification, that's the metal tin in the corner of the Pi, with the logo stamped on it. This allows the board to be designed into end products with significantly reduced wireless LAN compliance testing, improving both cost and time to market. Curious about what's ne and what's the same with the Raspberry Pi Model B+? Here's our video where we explain everything you need to know! Need assistance for getting started with Raspberry Pi? Follow this awesome guide here.